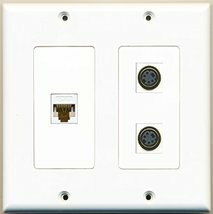 The HDMI plates that are inserted into the base plate do not sit flush with the face. They are about 1/2mm too large. I tried pushing them into place, thinking that the latch holding them just needed to catch, but that is not the case. I installed it anyway, and seems to be doing the job, but not very professional looking. 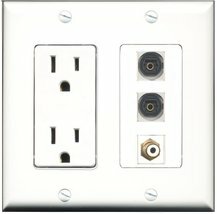 Just FYI - If you have a standard 3.5" thick stud wall, this has to installed flush with the face of the drywall. 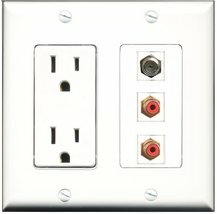 If you have a recessed type of box like I did, it will be too shallow to allow room for the HDMI cables plugged into the back. Even then, it is very tight. This would be a cool product if it where put together properly. The depths are off on the brush inlets, there is no way to make the plates fit over this set up. The kit also doesnt include dividers for the 3 gang box and the hdmi / coax pieces all rewuired drilling for the finish screws to fit. i'm super disappointed that I now have to go to hardware store and buy and new bruss opening to make these work. Total waste of money and time. But...I have not installed it with my home theatre system so I can't relate yet to its performance. 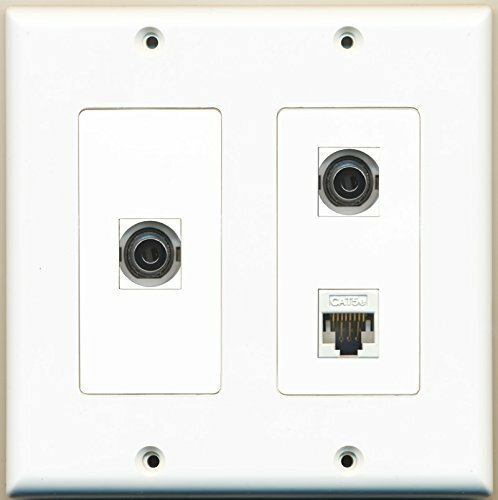 Ultraspec customized the color of the Cat6 insert to match the wall plate.